So we've made it through the first week of 30 Days of June! I'm totally loving this everyday blogging thing at the moment- it seems the more I write, the more ideas I get! I'm not sure if I'm prepared to take it on as a full time commitment though- at least, not yet. Today I come to you with the another ever-so popular haul video. As it was my birthday last month, I put some money aside to splurge on some products that I have been lusting over the past couple of months. It's a pretty restrained haul- trust me, I could've done a lot more damage! My only problem now that I have all these new products- I just want more! I'm so excited I've got some new products to play around with this month and by the looks of things, my June Favourites is going to be a big one! 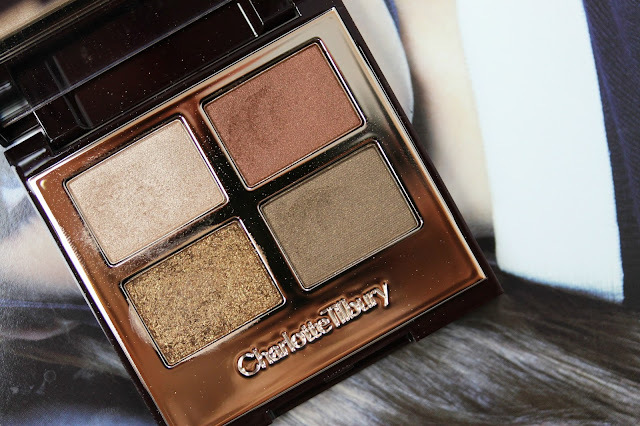 I can't breathe.. that Charlotte Tilbury palette! Oh my gosh, the shades are so luxurious and the colours look just as appealing in your video :) It's 100% on my wish list now! i'm really really curious about the tilbury line. its been making its way around the internets and everyone is saying all these awesome things about it but until i swatch them in person...i'm going to hold off judgement i think. but i def would want an eyeshadow quad. eyeshadows are my downfall. I too was a bit hesitant at first because it has been endorsed by so many beauty gurus but the products speak for themselves their eyeshadows are beautifully pigmented and I'm totally in love with this lip cheat too! Definitely give them a go if you can! That quad is just stunning! I need Casino bronzer in my life!